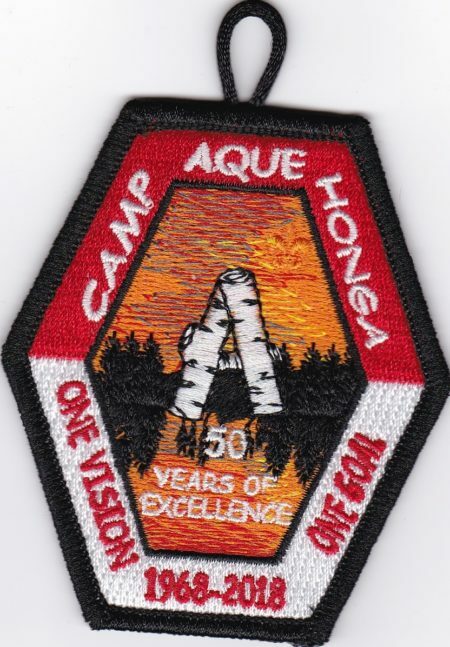 2018 was the 50th Anniversary of the ‘new’ Camp Aquehonga. 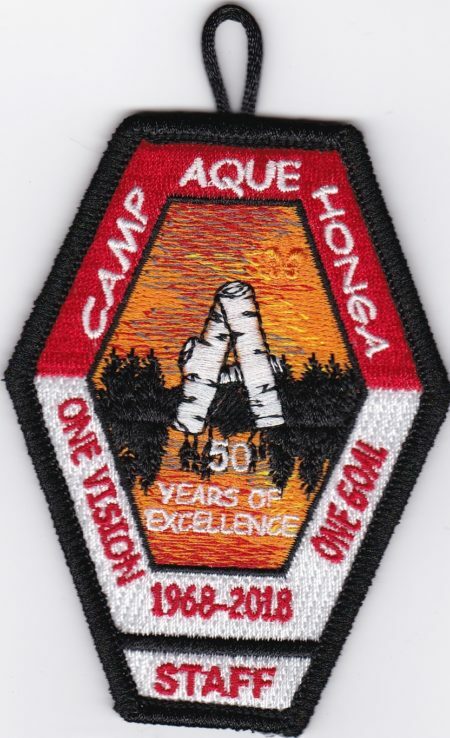 The design of the patch was a throwback to the one used for the 40th Anniversary in 2008. The 2018 version is a bit smaller and states 50 Years of Excellence.